I'm currently a Ph.D. candidate and graduate research assistant in the Responsive Environments group at the MIT Media Lab, working with Professor Joe Paradiso. Finding creative and thoughtful ways to apply technology to issues of sustainability and human behavior has been one of the key goals of my graduate work. My research focuses on developing sensor technologies to support sustainable agriculture and food systems. I received my S.M. from the Media Lab in June 2017; during my Master's, I worked with Professor Sep Kamvar in the Social Computing group, where I worked on software and hardware to support scalable and replicable social processes that impact urban environments. For my Master's thesis, I built a blockchain-based financial incentives system to encourage urban cycling. Before graduate school, I worked as a software engineer at Fitbit Boston, and spent a year living in Delft (NL) doing research on a Fulbright fellowship. 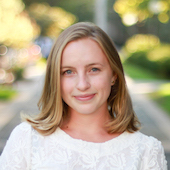 For my Fulbright research, I applied machine learning and natural language processing techniques to social media data to analyze bicycle commuting habits, in an effort to apply my computer science background to my interest in bicycling and sustainable urban transportation. I received my B.S. in Electrical Engineering and Computer Science from Yale in 2013. When I'm not working with sensors, computers, or data, I generally try to get outside (favorites include biking, hiking, and exploring cities by foot or bike), make pottery, go to museums, listen to live music (like this talented young band), read, write letters, try new restaurants, knit, or make tentative culinary forays. I also love maps! 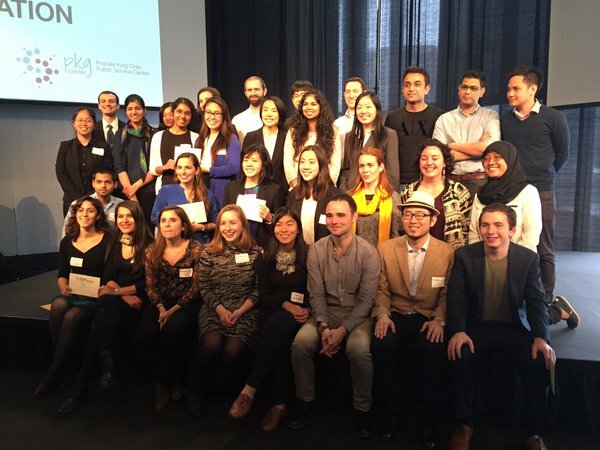 In November 2014, I attended Generation Citizen’s Civic Tech Challenge. Generation Citizen is a nationwide non-profit group that empowers teenagers to engage in politics and civic activity. During the 8-hour Civic Tech Challenge hackathon, we built a tool to help young activists decide how and where to allocate their problem-solving energy. Our team prototyped a web application that would connect participants with similarly minded people, educational material, and actionable opportunities to get involved. Screenshots of the basic flow can be seen below. 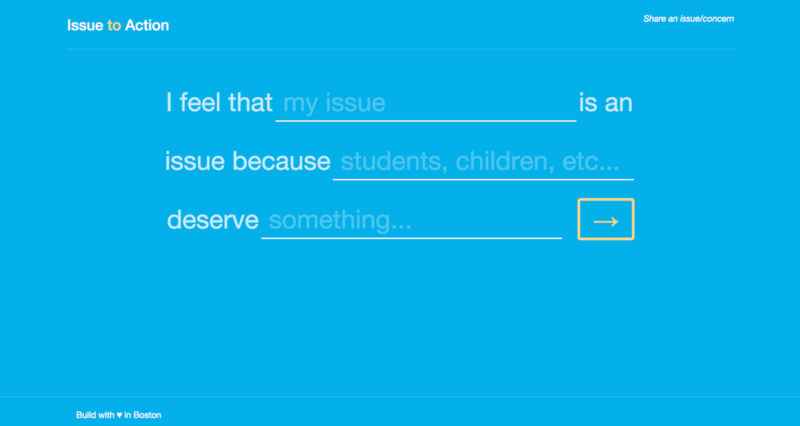 On the first page, users are prompted to enter a statement about their concern or issue. 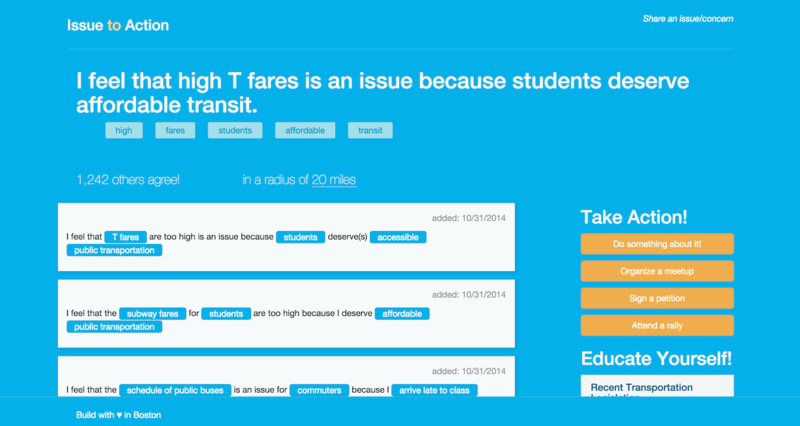 On the second page, users see other statements related to the issue. We extracted keywords from each user’s statement and used these to tag and categorize the statements. Users can filter results using different keywords or find other users in a certain area. On the right-hand side, users can discover relevant action items or educational material about the issue they’ve entered. Our project won the hackathon’s Usability Award for ease of use, intuitiveness, and appeal to a young generation of users. Though we just completed a prototype at the hackathon, we are planning to continue work on this project at Code for Boston hack nights. After graduating from Yale, I spent a year researching urban cycling behavior as a Fulbright Fellow at Delft University of Technology (TU Delft) in the Netherlands. I used computational data analysis to learn about urban bicycling, a successful form of mobility in the Netherlands – 27% of all trips are made by bicycle! – but one that faces growing pains in the U.S., where cycling comprises less than 1% of trips. Building upon work done by my Dutch colleagues, I investigated the attitudes, emotions and motivations that surround an individual’s decision to cycle or not. Environmental factors are important, but research suggests that less tangible factors, like the way a community perceives cyclists or a person’s habits, can have equal impact. To study these factors, I collected Twitter data and analyzed it using Naive Bayes sentiment analysis and Latent Dirichlet Allocation topic modeling. My investigation was aimed at both deciphering the way people feel about bicycling and evaluating social media analysis as a research method for understanding transit habits. I found that cycling sentiment is highly bimodal. Discussion centers around high-profile issues, both positive (e.g. new bike lanes) and negative (e.g. dangerous cycling behavior), that capture the attention of cycling advocates and detractors. While I faced challenges in establishing the reliability and representativeness of Twitter data, social media analysis proved an exciting technique that offered real-time access to opinions richer and more direct than those collected in traditional transportation research. My findings, which reflected on the possibilities and challenges of using social media analysis to better understand cycling motivations, were gathered in a paper that I am preparing to submit to the international journal Transportation. Fitbit is a company that makes wearable devices that enable users to track step, calorie and stair counts, as well as map exercise routes and measure heart rate. Fitbit’s work relates closely to my interest in analyzing human dynamics and tackles public health issues by encouraging users to exercise more and make healthy choices. In addition to being a former Fitbit employee and a long-time Fitbit user myself, Fitbit devices were a key component of my senior thesis in college. For this project, which I designed and executed independently, I collected annotated activity data from several friends, and used it to train a Random Forests classifier to understand when a user was intentionally exercising (e.g. by going on a run) or merely increasing their step count incidentally (e.g. by walking to class). Using this model of user behavior, I programmed an Aldebaran Nao humanoid robot to communicate and coach the user, with the idea that an embodied presence can give rise to more significant changes in a user’s behavior. Through these interactions, I sought to present the robot as a social presence who understood the context of a user’s life and exercise habits. One of the greatest barriers to successful personal fitness tracker usage has been durable engagement; usage diminishes as the excitement of the new product wears off. With the embodied presence of a social robot, I hoped that the insights available from the fitness tracker data would continue to seem relevant and that users would stay engaged with the system. After spending a summer commuting in the Bay Area and experiencing first-hand the shortcomings of the area’s public transportation systems, I was interested in learning about the area’s transit history and thinking about how these systems could be made more accessible and useful. I used the final project of a GIS class as an opportunity to explore possibilities for expansion. I learned that when the Bay Area Rapid Transit (BART) was originally conceived in the 1950s, planners visualized a transit system that would encircle the Bay. 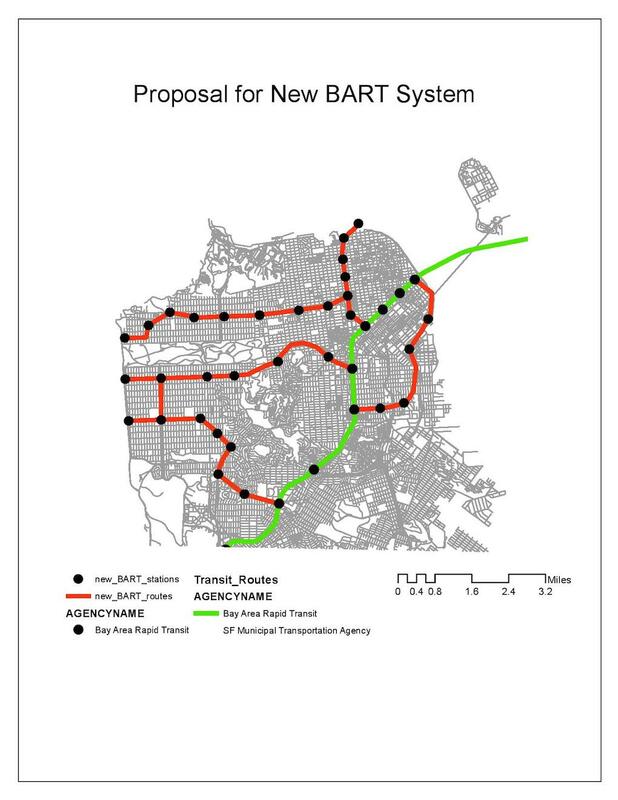 For various reasons, only a fraction of the system was implemented and today, BART connects a wide swath of the East Bay with just a sliver of Southeastern San Francisco and parts of the peninsula. While the system itself is relatively reliable, fast and cheap, it is weakened by its minimal coverage in San Francisco and bulky interface with other transit systems. 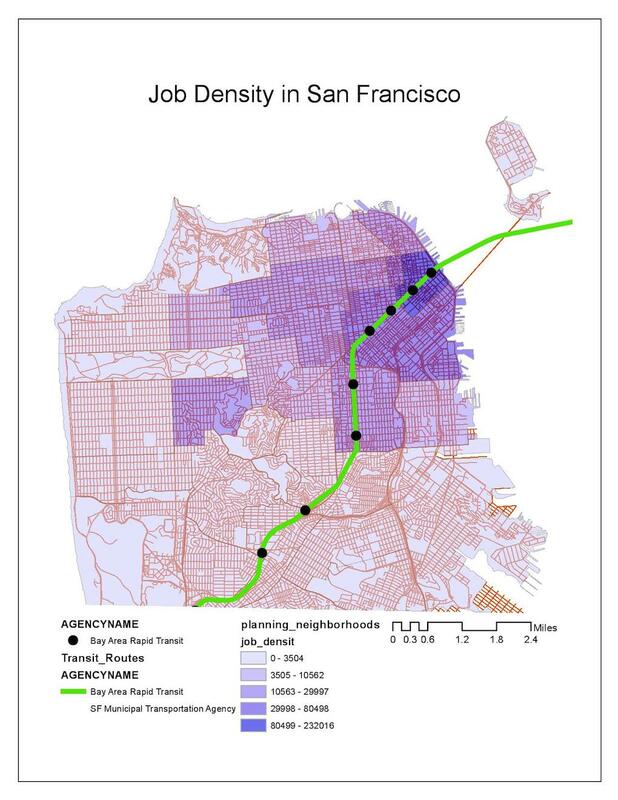 For my analysis, I collected data on population, traffic and job density, city topography, and existing public transportation systems, and integrated this information using GIS map algebra to optimize the placement of new branches of the BART system in San Francisco. 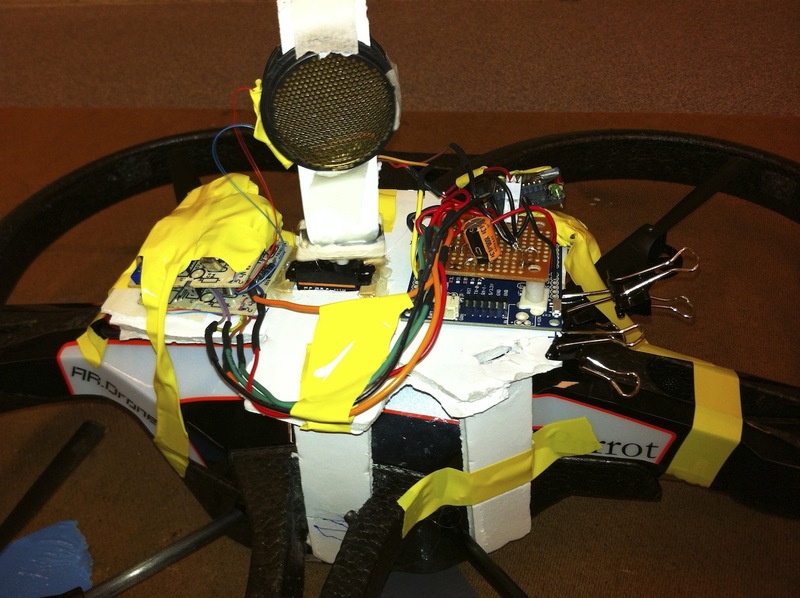 For an independent engineering project, a classmate and I developed a custom sonar ranging system for a quadcopter drone. Our goal was to build a system that would allow the drone to follow and avoid a wall, with the idea that we could eventually extend this behavior for tasks like searching, following, transporting, monitoring or leading. 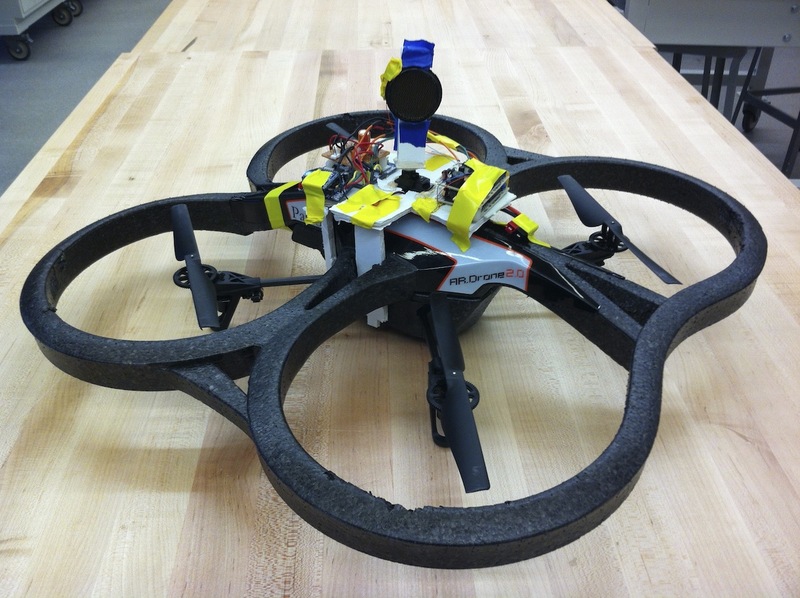 This project required the integration of several disciplines and techniques, including hardware for the sensing system and wireless communication, and software for writing the drone’s control algorithms. The sensing system consisted of two sonar sensing modules mounted on a rotating servo motor that produced a distance reading. Based on this reading, we used our control algorithm to set the pitch, roll and yaw values to allow the drone to maintain constant distance from a wall. These values were communicated wirelessly to the Linux system controlling the drone and sent to the drone using its built-in SDK. Through our calibrations and testing, we produced a set of parameters for our control algorithm that allowed the drone to successfully follow and avoid a wall, staying within 0.5 to 2m. This project laid important groundwork for other useful projects involving quadcopters and was an instructive opportunity for hands-on hardware work. During my junior year of college, I took a human-robot interaction course that culminated in a month-long robotics research project and final presentation. Two classmates and I wanted to understand how group size impacts perceptions of “outgroup” members. We wanted to model these groups with robots, because robot behavior can be controlled and replicated across many trials, but faced a major challenge in cost. Instead, we reverse-engineered a toy robot – a $20 version of a research-grade robot – so that we could easily scale group size. 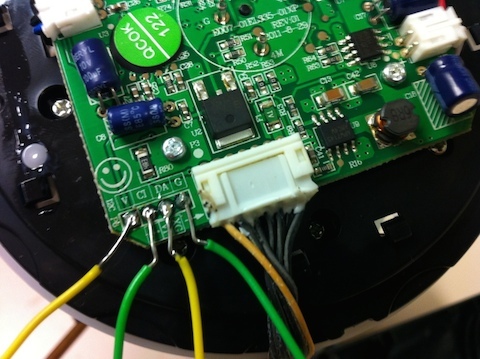 To gain control of the robot’s servo motors, we used an oscilloscope to monitor the signals passed to motors. We were able to decipher the digital messaging protocol and program the robot with customized actions. With control over the robot’s motors, we conducted an experiment where we asked participants to rate the skill and likeability of a robot with unique actions in groups of different size. We found that perceptions of the individual robot’s talent grew stronger as group size increased; this result has important implications about dynamics in the classroom, on athletic teams, and in professional settings. 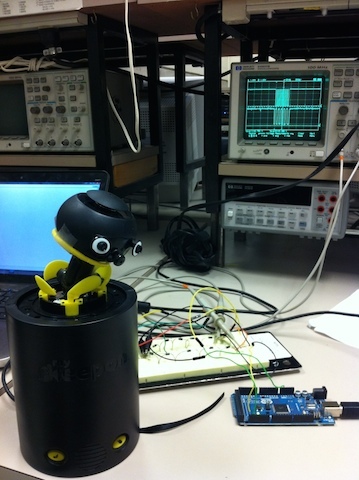 This project set an example of overcoming cost constraints in robotics research by reverse-engineering toy robots. 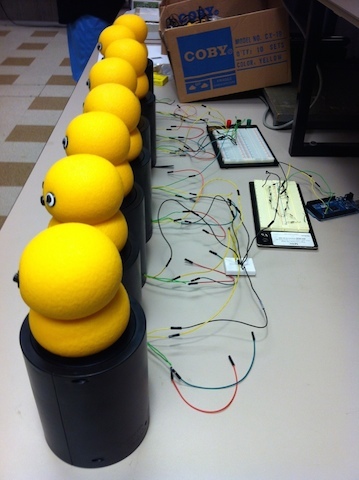 Our work has evolved into a cheap, open-source robotics platform with accompanying tutorials. Versions of these “hacked” robots have been presented at the World Science Fair in New York City and exhibited at AAAI and CogSci, flagship research conferences in artificial intelligence and cognitive science. This project encouraged me to think deeply about how scientific research can be used to understand human behavior and was a course-related opportunity to apply technology to human issues. During a summer research experience supported by Yale’s Perspectives on Science program, I worked in an Electrical Engineering and Materials Science lab. Working independently, and with a graduate student, I developed bonding methods to help construct nanosensors that can quickly detect biomarkers – specific proteins that may indicate the presence of disease – in small blood samples. 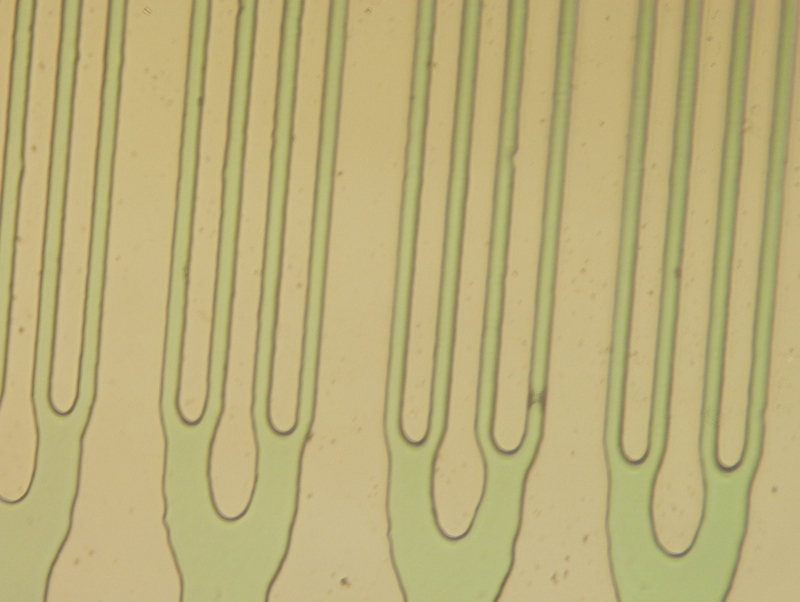 These sensors used tiny microchannels to sort and filter proteins. 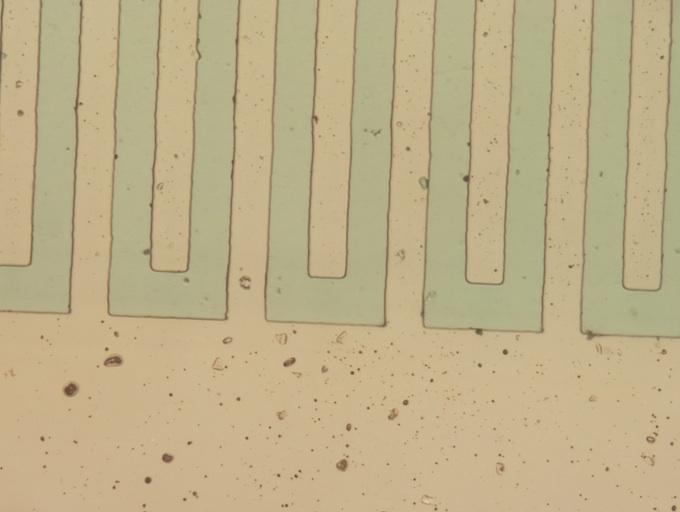 My work consisted of testing different channel construction methods and designs to discover the strongest and most effective microchannel device design. These nanosensor devices are now the basis of an award-winning biomedical startup that has raised thousands of dollars in venture capital funding. For my final paper in a seminar on cartography, I delved into the world of transit map design. I focused specifically on Harry Beck’s 1931 schematic map of the London Underground and Massimo Vignelli’s 1972 map of the New York City Subway. While Beck’s map was generally accepted and has set the standard for transit map design throughout the world, Vignelli’s schematic map – which incorporated Beck’s design principles – drew widespread criticism for its geographic distortions and was soon replaced by a more geographically accurate map. In my paper, I discuss factors that impact transit map usability and argue that Vignelli’s map was unsuccessful because it challenged New Yorkers’ unique mental relationship with the geography of their city. Because of New York’s alphanumeric grid system, New Yorkers have a specific mental idea of the space-time relationship between two points in the city based on their grid coordinates; introducing a map, such as Vignelli’s, with such obvious geographic distortions betrayed that mental map. In cities with non-orthogonal street systems, the cognitive link between locations is less precise; in these settings, diagrammatic, geographically distorted maps may have greater utility. The research for this paper made me think deeply about humans’ mental relationship to maps, how information and design affect usability, and how people think about navigating cities. During an introductory architecture class my sophomore year of college, we were asked to build a model of a space or place using a specified list of materials. Inspired by the Vaillancourt Fountain in San Francisco, I wanted to create a natural space that incorporated both indoor and outdoor areas and hard and soft materials. My piece sought to emulate that fountain, by using the specified materials in asymmetrical, organic ways. I envisioned it as an open space or pavilion that explored the interplay between different spaces and materials. This project encouraged me to think critically about which characteristics contribute to successful, multi-functional and accessible public spaces. For the final project of this architecture class, we were instructed to make a lampshade using one type of white paper and one type of adhesive. I chose to use strips of white butcher paper and super-glue, because they were flexible and cheap materials. 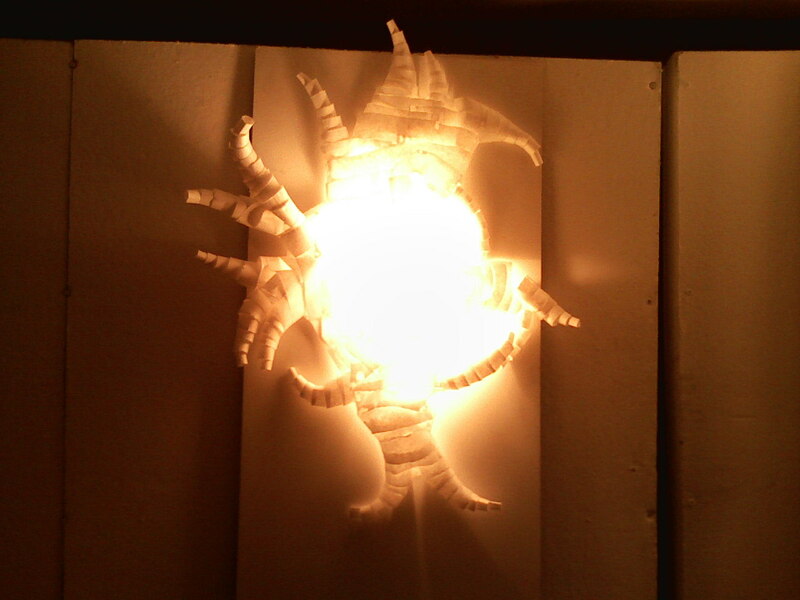 I thought building with strips of paper, instead of larger pieces, would allow my design to evolve more naturally. In my design, I was intrigued by organic, tessellating shapes, where the same pattern would build upon itself, but at different scales and with different orientations. The construction of my lampshade ended up being an almost meditative process; working from my original concept, I let the lampshade take shape naturally, adding strips of paper where needed, until the piece took on a life of its own. As cities become increasingly dense in the coming decades, they must turn to novel technologies and frameworks to address the imminent environmental, mobility, and public health issues that will arise with this population shift. The overwhelming use of single occupancy vehicles in the United States – they account for 76% of all trips – is a major contributor to pollution, traffic, and sedentary lifestyles. However, 50% of trips in the U.S. are less than 3 miles, and could likely be replaced by a more sustainable and space-efficient mode of transportation, such as bicycling, if effective policies and incentives were implemented. My Master's thesis presents a Blockchain-based marketplace that allows cyclists to anonymously share their location data and receive financial compensation from organizations that would like to sponsor cycling activity. For example, an insurance company may want to reward its customers with lower premiums for partaking in healthy commuting behavior. An advertising company may wish to understand cycling activity in order to improve their advertisement targeting. A local business may sponsor bicycling activity in its vicinity to increase sales. This marketplace uses GPS data from sensors embedded in bicycles frames and powered by the cyclists themselves. The use of Blockchain technology makes transactions in the marketplace secure, seamless, trustworthy, and transparent. Users are able to reveal “just enough” information about themselves to participate in the decentralized marketplace, instead of exposing their entire profile to a central entity. This market-driven system facilitates better incentive matching, and in turn produces a scalable and stable solution for increasing the use of sustainable transportation in cities. One of the first projects I got involved with at the Media Lab was called Placelet. 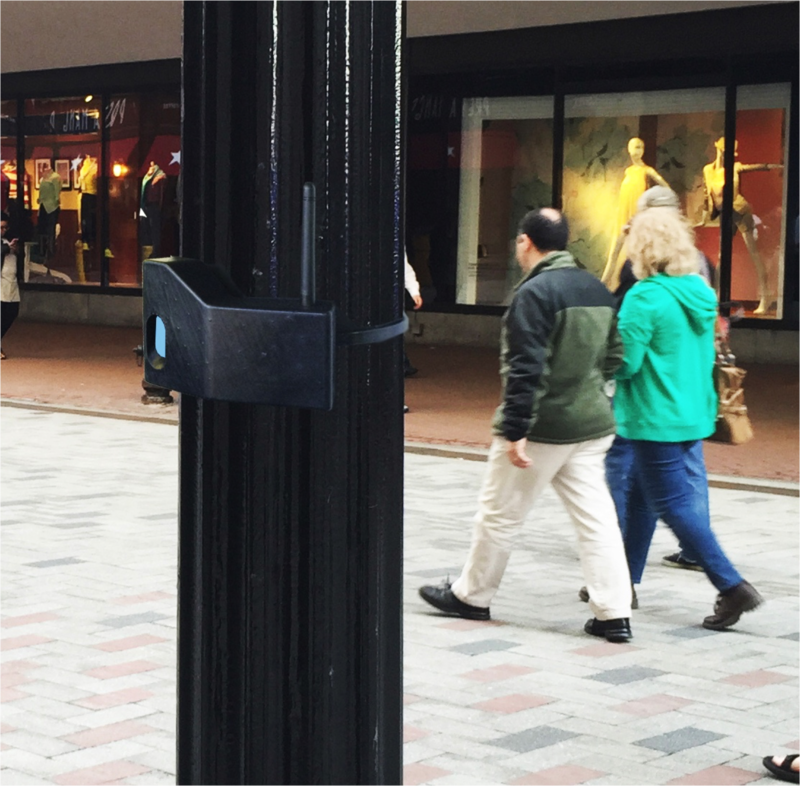 Placelet is a system for collecting, analyzing and visualizing data on the human experience of urban places. 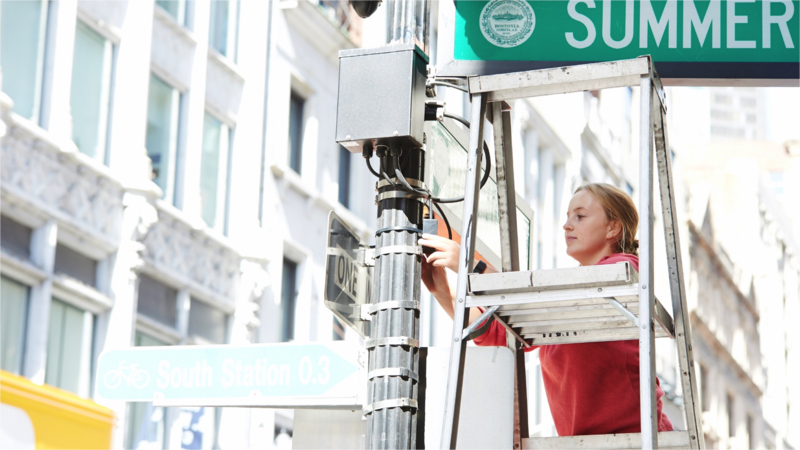 The system consisted of a physical sensor network that collected movement, audio and air quality data with the goal of better correlating physical conditions and activity to the invisible economic and social patterns that shape the public realm at the scale of a single urban block or streetscape. 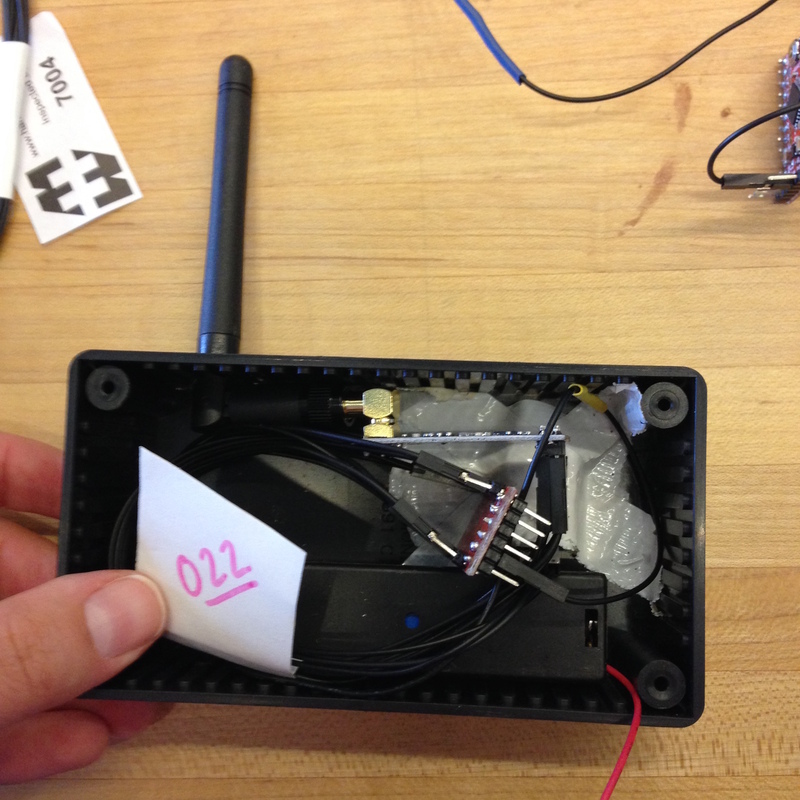 The vision for the project was to develope an API for interaction with the sensor data. In addition to visualizing and quantifying the sensor data, the API would correlate physical experience data to GIS and other georeferenced data sets, with the idea that accurately understanding factors such as pedestrian speed across a set of urban locations could allow for more agile and targeted planning and design processes that would better serve local communities. 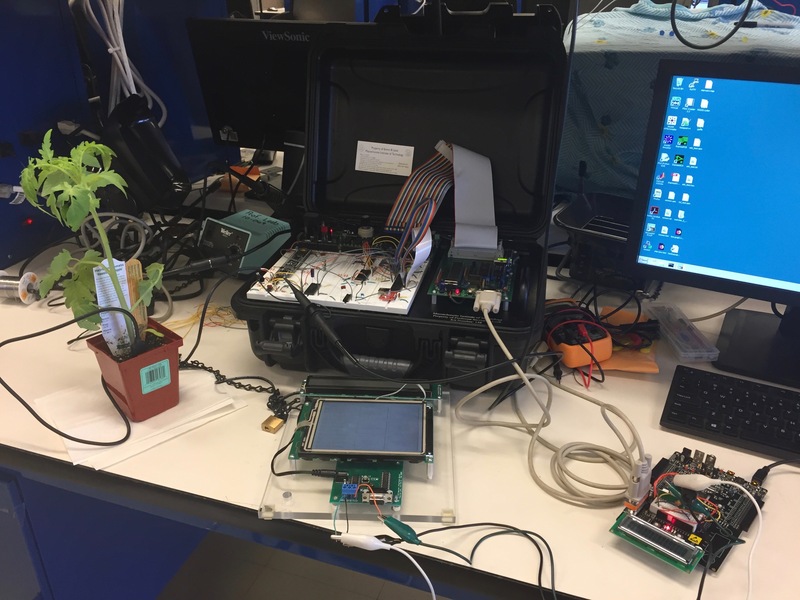 Over the course of the project, we developed and deployed two rounds of sensor prototypes, which included hardware, software, and sensor casings. I was particularly focused on engineering and logistics for the noise and air quality sensors. These deployments allowed us to practice deployment logistics, observe how the sensors operated in a real environment, and collect test data. We also built strong relationships with organizations in the Boston and Cambridge city governments and with local small business owners. We worked with them to understand how they could use data and incorporate it into their strategic planning processes. 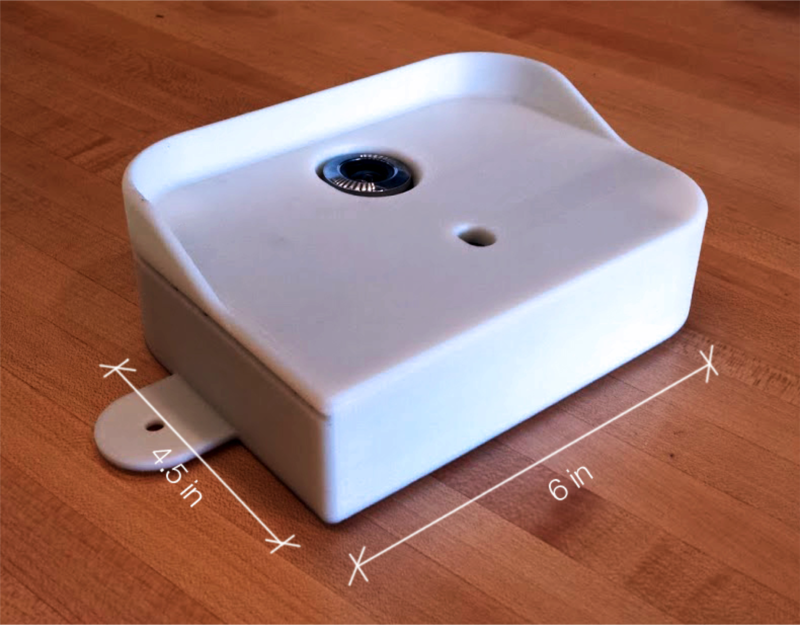 This work was awarded a Knight Foundation Prototype Grant Award in July 2015. In January 2016, I presented on the project at the Knight Foundation's closing event for the Prototype Fund. In collaboration with GoDaddy (who sponsors our research group), I also presented our findings at the IEEE Women in Engineering Leadership Conference in May 2016. 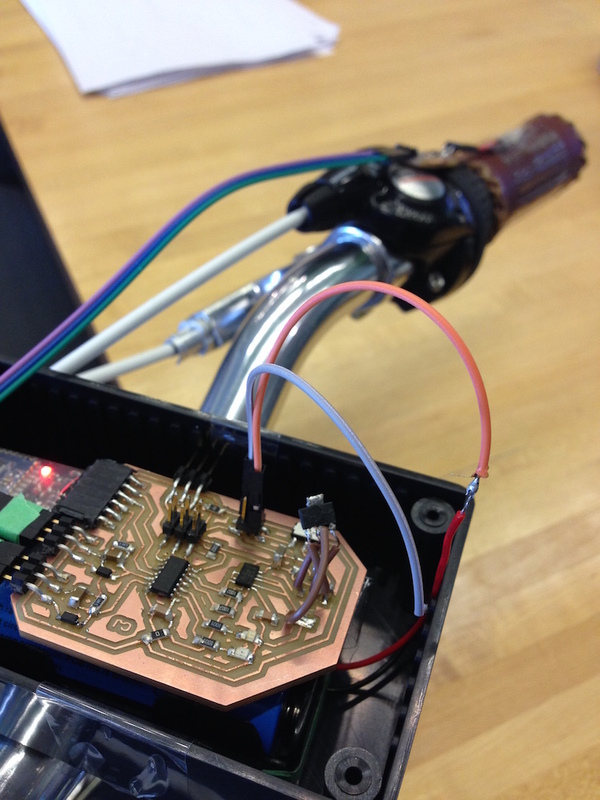 For my final project in MAS.836, Sensor Technologies for Interactive Environments, I developed a bicycle-mounted road quality sensor that senses and delivers data about the quality of the road finish (e.g. potholes, rough pavement). The motivation behind this project was to investigate the data-collection capabilities of bicycles, with the idea that we could one day leverage many bicycles in an urban setting (e.g. a bike-share system) to learn more about urban conditions. The sensor is mounted on bicycle handlebars, and uses an accelerometer and two piezoelectric film sensors to sense roughness in the road. My system looks at differences in adjacent accelerometer readings to gauge roughness. The piezoelectric films give a changing pressure reading, which is a proxy reading for the variation of pressure of the rider’s hands on the handlebars. The following data shows piezoelectric film readings for a smooth road (blue) versus a bumpy road (red). In my prototype, these sensors transmitted data over Bluetooth to a nearby laptop, but it is my hope that they would eventually communicate to a mobile phone (or over 3G to a server) so that sensor readings are geo-tagged. My full project presentation can be found here. 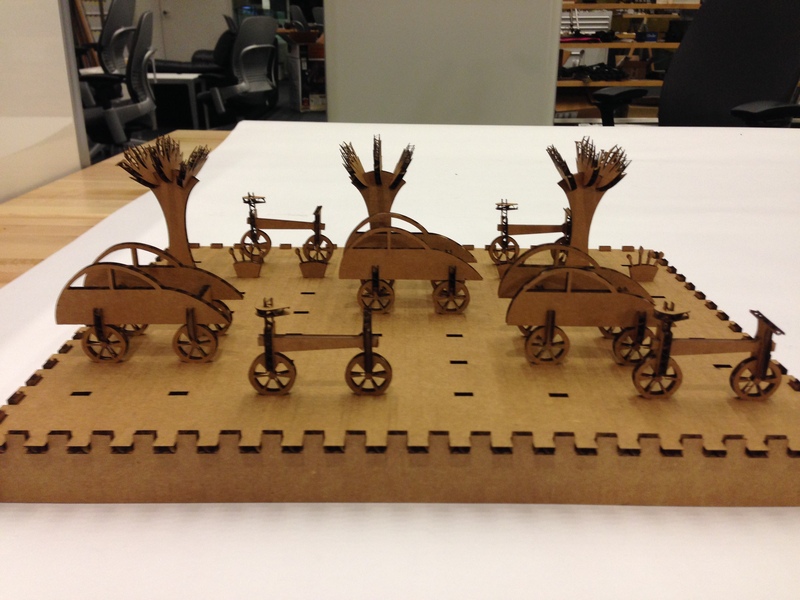 One of the most fun and interesting extracurricular projects I’ve been a part of is Bamboo Bicycles Beijing (BBB). 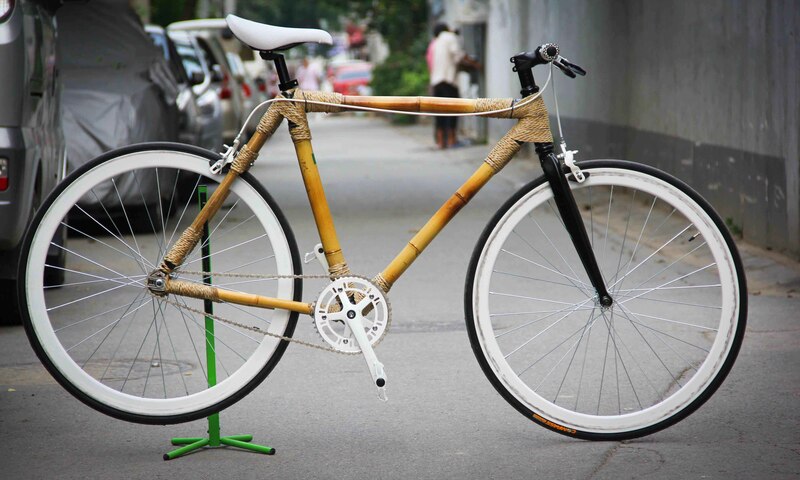 BBB is community-driven startup that was founded by a friend at MIT that runs workshops in Beijing teaching people how to build their own bamboo bicycle frames. BBB has now opened or inspired similar workshops in locations around the globe, including Shanghai, Hong Kong, Laos, Ethiopia, Japan, Germany, Denver, and Boston! I met the founder in the How to Make (Almost) Anything course last year, and was immediately drawn to their focus on community, bicycles, and hands-on fabrication. After making my own bicycle frame (a standard rite of passage), I decided I wanted to become involved with the group. 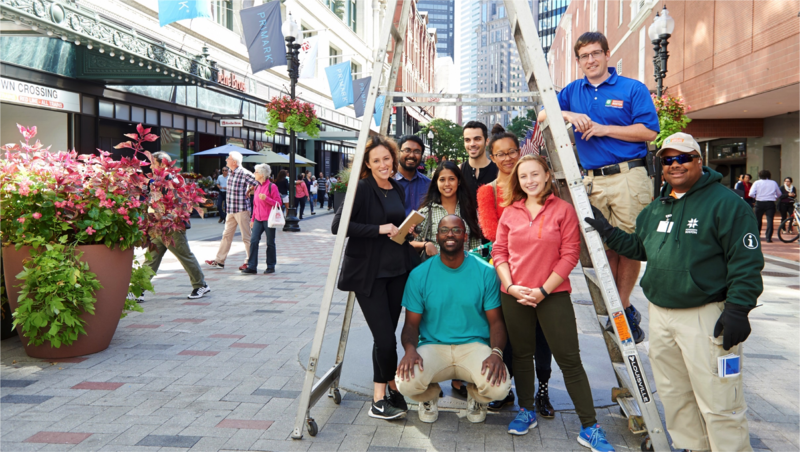 I worked with the team to submit a grant proposal to MIT’s IDEAS Global Challenge, which is an annual innovation, service, and social entrepreneurship competition. Our group won a $5000 grant to support an expansion of the workshop program in Beijing. I contributed to this expansion by developing an electronics workshop to lead alongside the frame workshops. 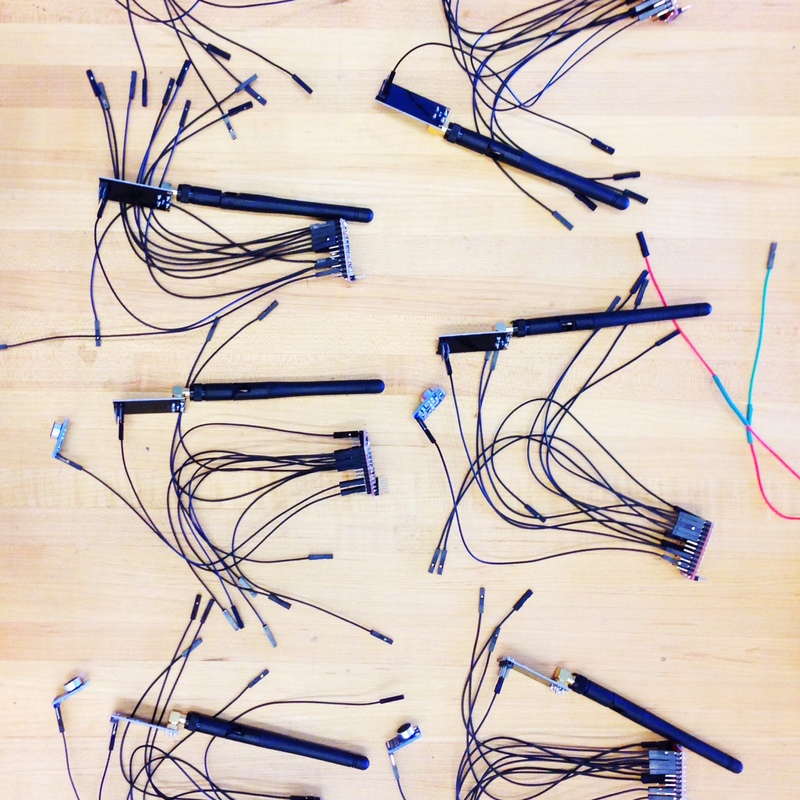 Just as the bicycle frame workshop teaches basic mechanical fabrication skills by having participants build a specific object, I wanted to teach basic electronics skills by having them build a simple electronics project. 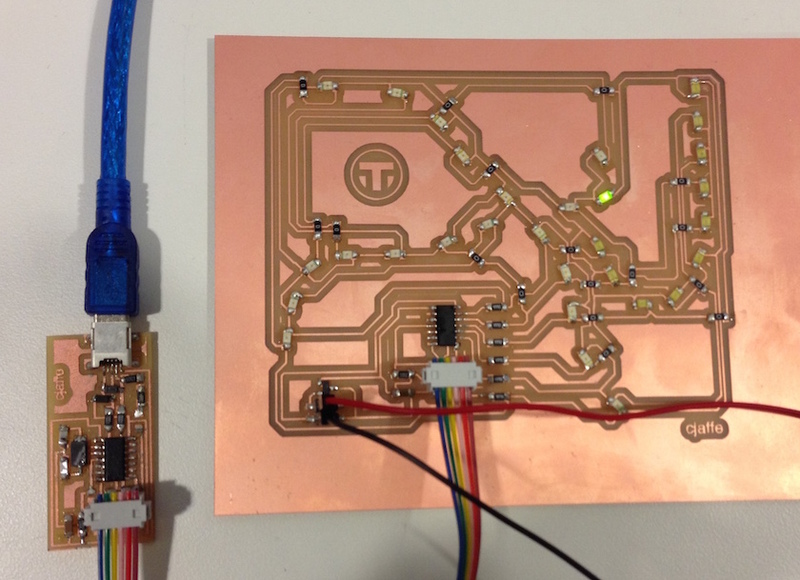 I designed and milled several PCB boards for an “automatic bike light” that uses a few small sensors to turn on a light when it’s dark outside. At the workshops, participants learned to solder in order to finish the boards, and used code I had written to program the bike lights. I gained some important feedback from this workshop that I am incorporating into the next iteration of the electronics workshop. I was happy and proud to share my knowledge in a teaching setting and contribute my electronics skills to a team and a project that really excite me. In Fall 2015, I took Professor Neil Gershenfeld's (in)famous "How to Make (Almost) Anything" class. Neil is the director of MIT's Center for Bits and Atoms, which is co-located with the Media Lab in MIT Building E14. 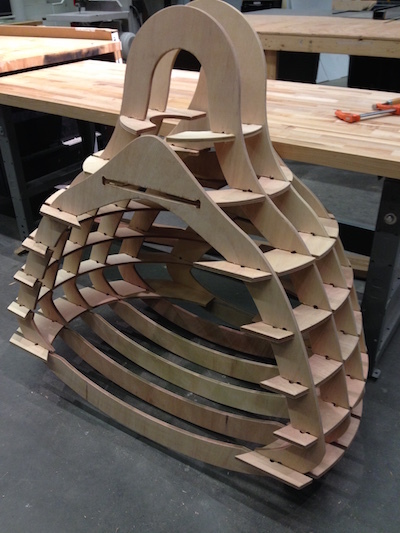 Each week of the class, we learned a different digital fabrication technique, and then completed a project using that technique. 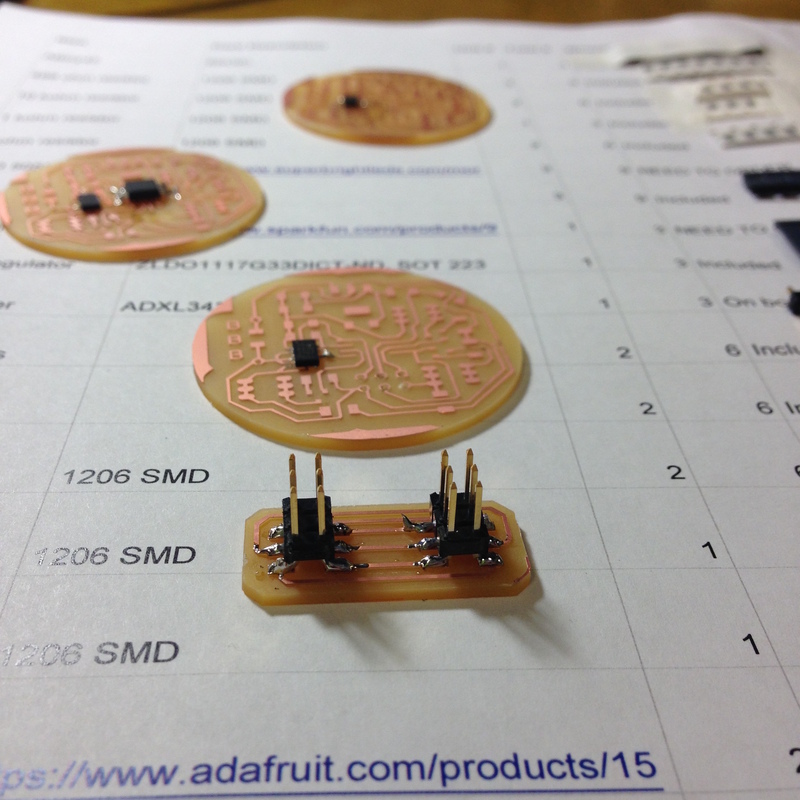 Techniques included laser-cutting, vinyl-cutting, 3D-printing, and PCB design fabrication. 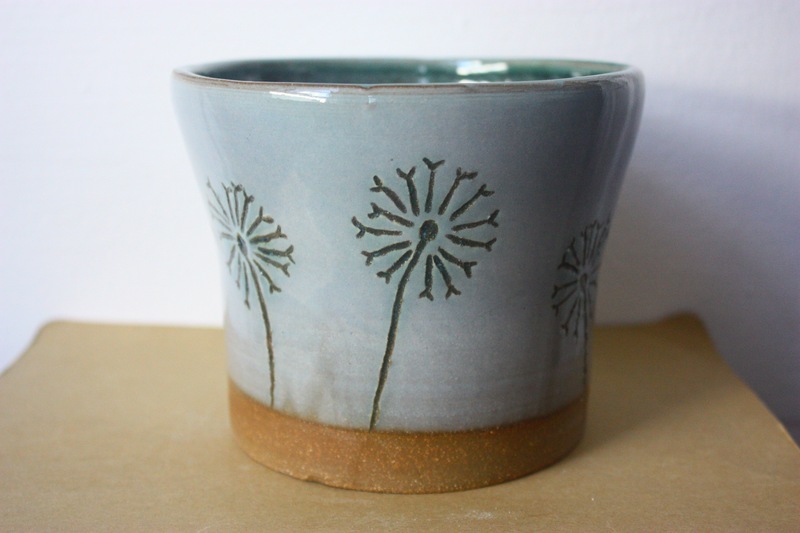 Please see THIS PAGE for pictures and in-depth explanations of my weekly projects. I was appointed to the Committee at the beginning of Summer 2015, and have been an active member, attending meetings, helping with social media efforts, supervising community bike rides, and helping with the Committee's PARK(ing) Day efforts two years in a row. 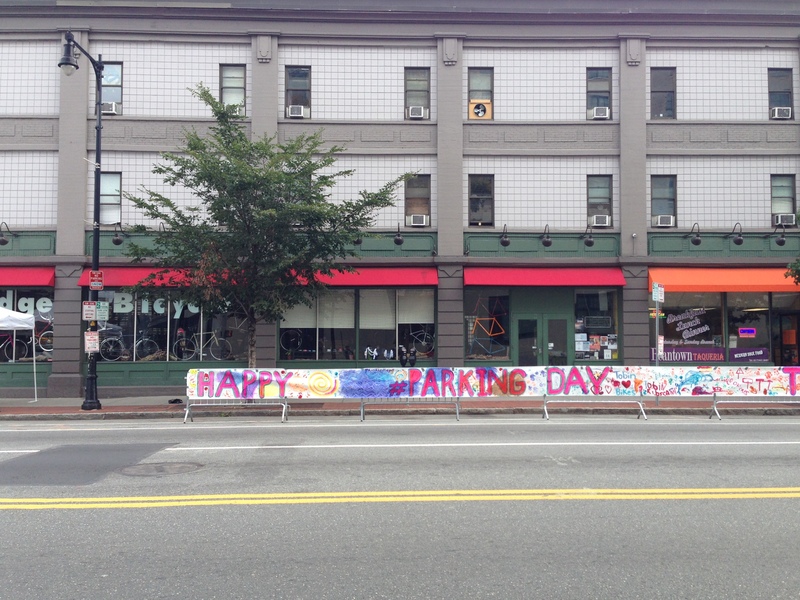 In 2015, our PARK(ing) Day space featured demos from several bicycle-tech companies based in the Cambridge/ Boston area. 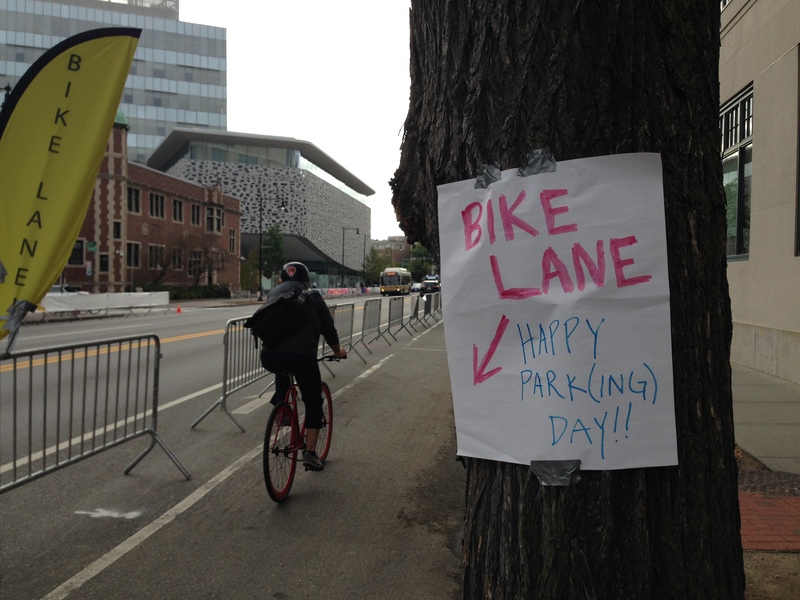 In 2016, for our PARK(ing) Day project, we created a pop-up bike lane on Mass Ave that highlighted the potential safety improvements of this type of bicycle infrastructure. Outside of my responsibilities with the Bicycle Committee, I helped the Cambridge Energy Department with a project to promote energy-efficient light-bulbs. I designed and built a bicycle-powered generator for demos that could be attached to different types of lightbulbs (e.g. 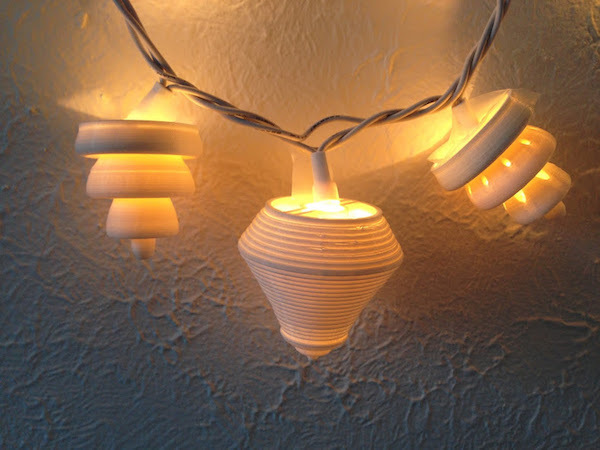 incandescent, florescent, LED). When a person peddled the bicycle, they would feel that certain bulbs are much more power-hungry than others. The Energy Department uses this bicycle setup at Open Houses and demos to raise awareness about the power consumption profiles of different types of lightbulbs and to encourage people to switch to sustainable lighting options. 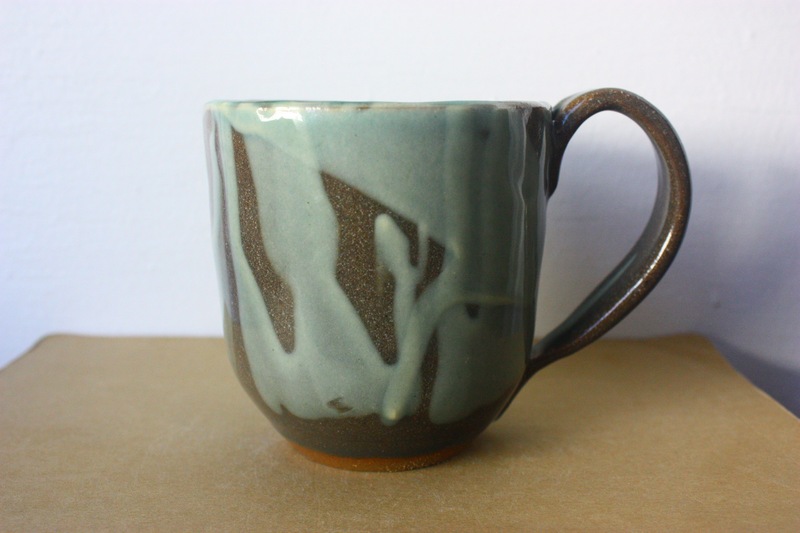 I have been taking pottery classes through MIT's Student Art Association for the past year and a half. 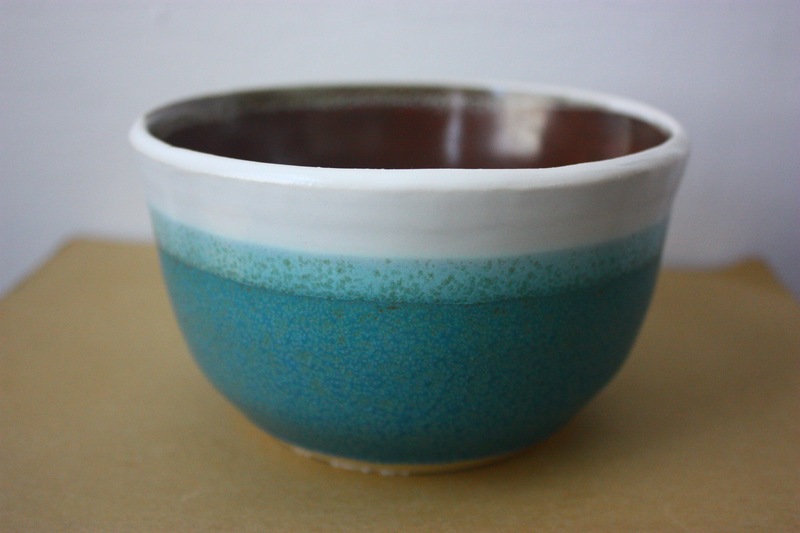 The classes focus on wheel-throwing and glazing. 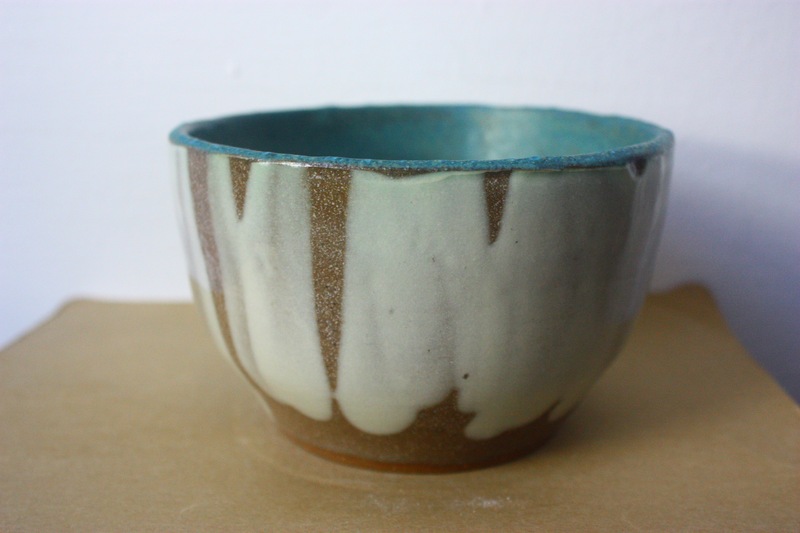 Lately, I have been particularly focused on experimenting with different ornamentation techniques, including stencils, texturing, glaze and slip pouring, and painting with underglaze. 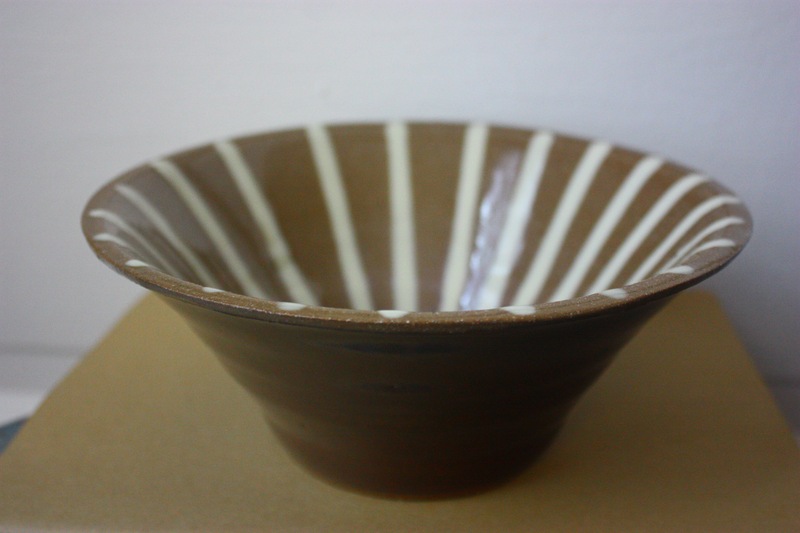 I find pottery a meditative and relaxing process that engages my brain much differently than my research. Featured below are some of my favorite pieces. I have also experimented with running my own Etsy shop, which has been an interesting lesson in (very) small business management. The MIT Transportation Club aims to bring together the transportation community at MIT for educational events, networking, and research collaborations. Founded in the spring of 2010, the organization has grown rapidly to include over 300 members from across all Schools of the Institute. I served as Co-President of the Transportation Club for the '15-'16 academic year. My responsibilities included aggregating and disseminating information about transit-related events and professional opportunities, in addition to coordinating and staffing several of Transportation Club's own events. I also served as the primary MIT liason for Boston's Transportation Camp, a national day-long "unconference" that attracts over 300 people and whose Boston branch is hosted at MIT. In Spring 2016, I took a course called Liberating Structures, in which we read and discussed different books that hypothesized radically different structures for common societal institutions (e.g. schools) and conventions (e.g. money). At the end of the term, we were each asked to complete a project that explored themes from one or more of the books we had read. I chose to explore Charles Eisenstein's Sacred Economics, which envisions a world where we peg value to the sanctity and beauty of our natural surroundings and gift economies thrive alongside traditional monetary systems. For my final project, I wanted to take Eisenstein's ideas out of the abstract framing of his book, and into a more "life-like" setting. 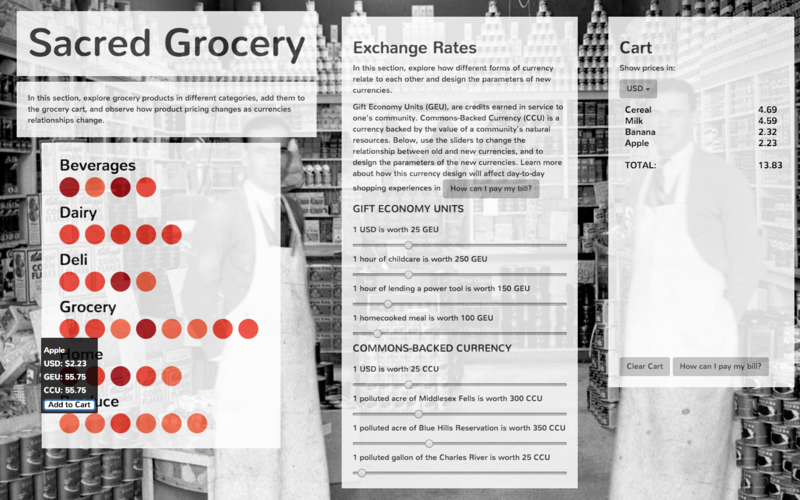 To do so, I made a visualization using d3 that explores how these currencies could be implemented in a hypothetical grocery store in Cambridge, MA. 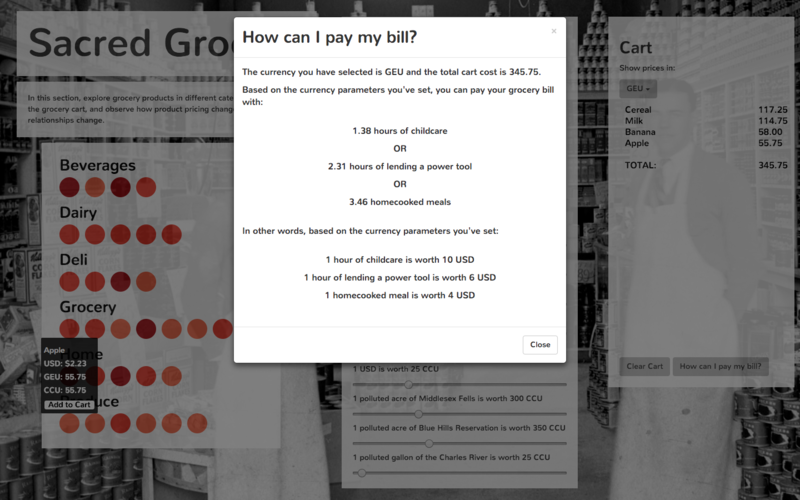 The page allows users to add items to a "grocery cart", and then explore two hypothetical currencies: "Gift Economy Units" (GEU) and "Commons-Backed Currency" (CCU). The user can adjust how much these currencies are worth based on familiar items (e.g. the cost of a home-cooked meal) and then see how much a familiar purchase at the grocery store might cost in terms of these new currencies. Try the visualization yourself here. For the past year or so, I have been developing a "grape ripeness" sensor in collaboration with Colgin Cellars, a high-end winery located in St. Helena, CA. 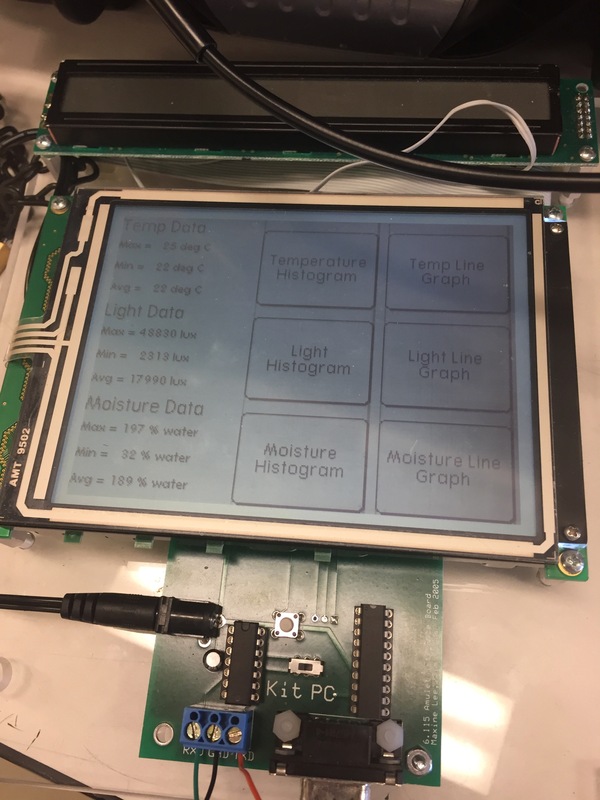 The device uses impedance sensing, along with temperature and humidity values, to offer a general "ripeness" score that winemakers can monitor. 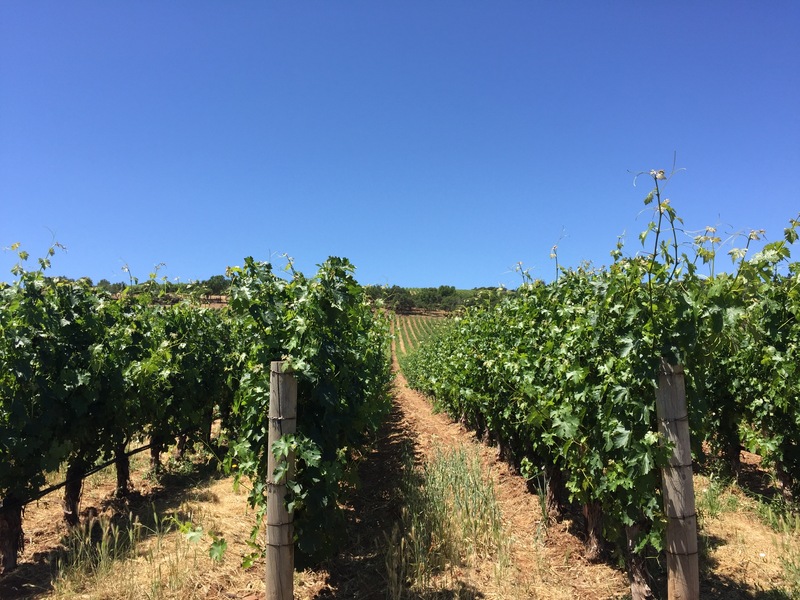 The sensor is not meant to supercede winemakers' own intuition and experience, but rather to supplement it and give them another data stream to consider when deciding how to care for and when to harvest grapes. More information and photos coming soon! In Spring 2018, I took 6.115, the Microcomputer Project Laboratory through MIT's Computer Science and Electrical Engineering Department. The class teaches fundamental embedded computing concepts through labs that involve low-level microcontroller programming in assembly language. At the end of the course, each student completes a class project that uses two microcontrollers (the Intel 8051 and the Cypress PSoC). 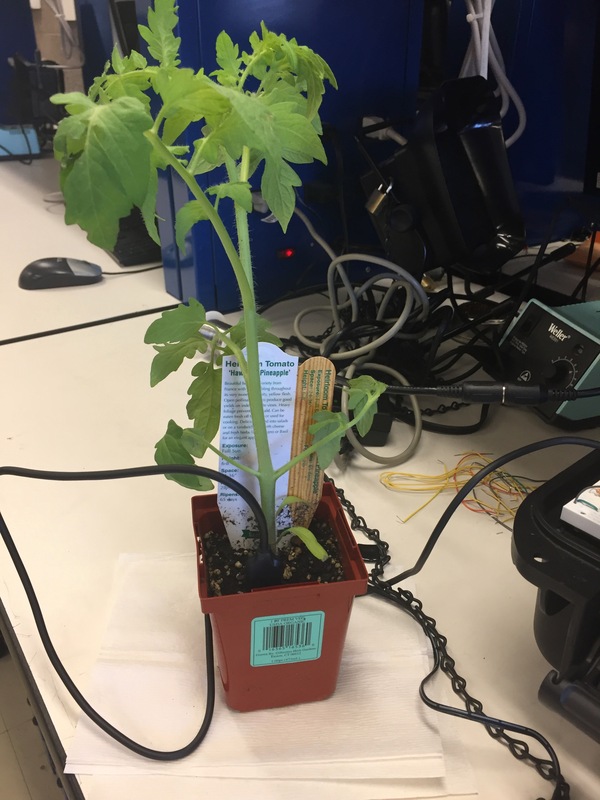 For my project, I chose to develop an environmental monitoring system for a tomato plant. The system involved several subsystems: sensing, data collection, data compression and expansion, and a GUI/ display. 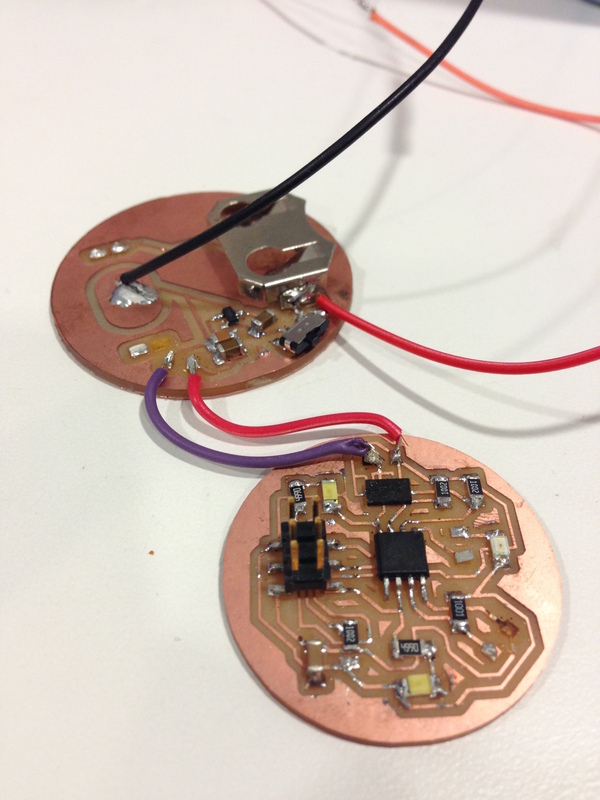 The sensing subsystem used three analog sensors: a light sensor, temperature sensor, and EC-5 soil moisture sensor. The data collection subsystem ran an interrupt routine on the 8051 microcontroller to periodically read from these sensors, converting their analog values to digital ones using an ADC. Values were stored locally. During the compression phase, the microcontroller uses run-length encoding to compress the data. This type of compression made sense for this setting because data values drawn from the real world change slowly, thus allowing for significant compression. The compressed data was periodically transmitted over a serial connection to the PSoC microcontroller, which expanded the compressed data, and fed the data into a custom-designed GUI on the Amulet LCD display. The GUI (see photo below) used line graphs and histograms to show historical environmental data for each of the three sensor. In Fall 2015, I took Professor Neil Gershenfeld's (in)famous "How to Make (Almost) Anything" class. Neil is the director of MIT's Center for Bits and Atoms, which is co-located with the Media Lab in MIT Building E14. Each week of the class, we learned a different digital fabrication technique, and then completed a project using that technique. 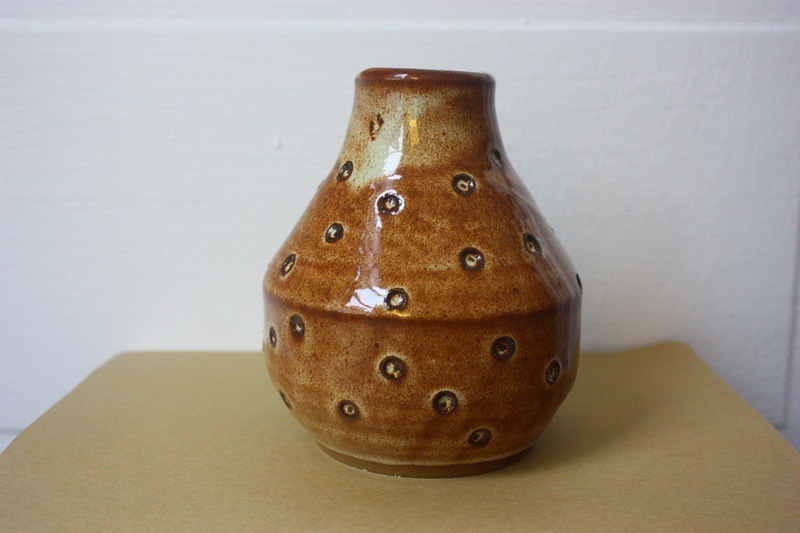 Please see this page for pictures and in-depth explanations of my weekly projects.